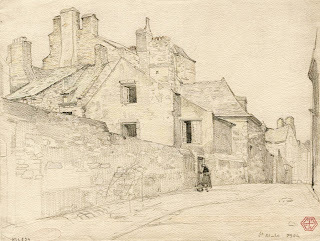 The former Rue du Cheval-Blanc was named after Bertrand-François Mahé de La Bourdonnais (Saint-Malo 1699 - Paris 1753) in 1839, and is assumed to be his birthplace. B.-F. Mahé de La Bourdonnais set sail at the age of 10 and made his fortune trading in the Indian Ocean. He was the Governor-General of the Île de France and the Île de Bourbon (Mauritius and Réunion). However his success made people jealous. He was imprisoned in the Bastille in Paris. In spite of having won his trial, which cleared him, La Bourdonnais died following his years of imprisonment. Number 2 has a portal with an arch dated 1652 and is decorated with motifs sculpted in the style of the second half of the 16th century: caryatids, pilasters, balusters radiating outwards, grimacing masks, etc. It was in this house that Louis Hovius printed the first memoirs of Louis Caradeuc de La Chalotais, the Attorney to the Parliament of Brittany. He was imprisoned in Saint-Malo for having defended the province’s freedoms against the Duke of Aiguillon, who was the Commander-in-Chief. At the end of the street, the Poterne aux Normands postern-gate enables you to walk through to the ramparts and the Fort La Reine. At No. 8 Rue de la Victoire is a 17th century house with an entrance sheltered under a porch. 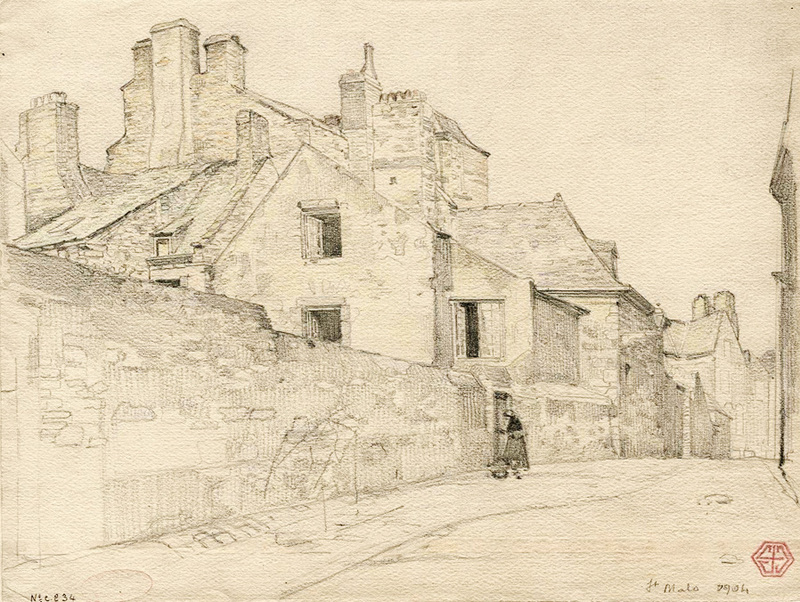 Victor Hugo drew inspiration from certain details in these old houses for his drawing entitled Vieux Saint-Malo which is now held in the collection of the French National Library.